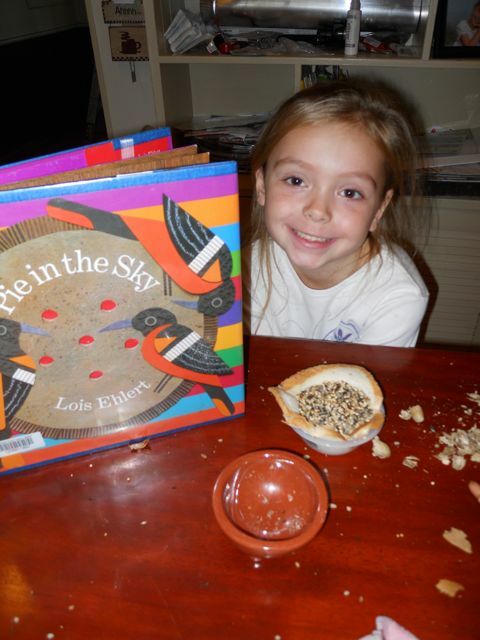 We have been celebrating Lois Ehlert's birthday at our house for three years! 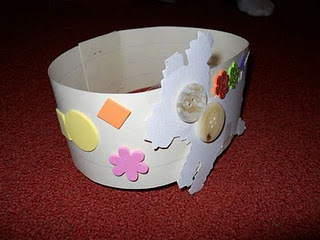 I was challenged to develop an activity that featured a book that my children had not read in the past. I found the book, Pie in the Sky, at the library. 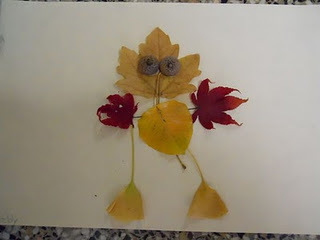 It is a story about a special tree -- a pie tree. However, it is hard to believe this is a pie tree at the end of winter as only buds are on the branches. Spring doesn't reveal a pie as only blossoms appear. Summer shows us why this is a pie tree when cherries begin to form. 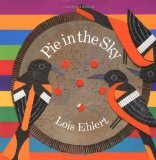 Birds and raccoons enjoy a treat before a pie is made in front of our eyes with Ehlert's signature collage illustration. The last line of the book is "I wonder if the birds would like it?" 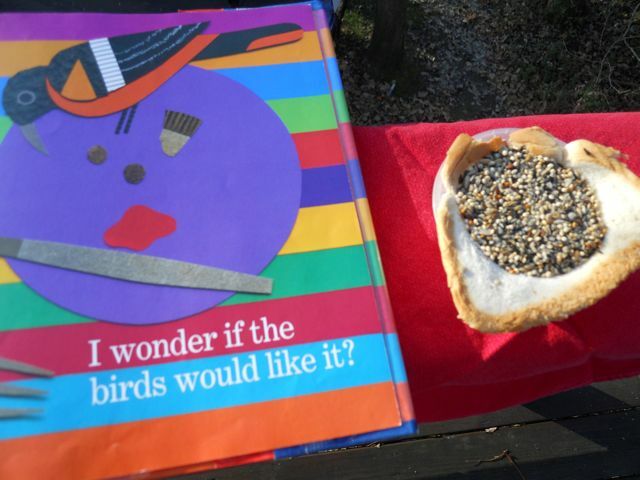 I thought my children would have fun making a pie of their own for the birds. 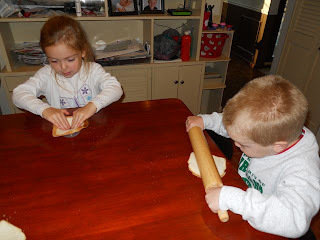 We chose not to make cherry pie, but instead used bread, seeds, raisins, and peanut butter. First, we rolled out the dough for our pie. We used a piece of white bread for the pie crust. We then formed the bread into reused plastic fruit cups. We scooped in peanut butter and spread it over the bread the best we could. 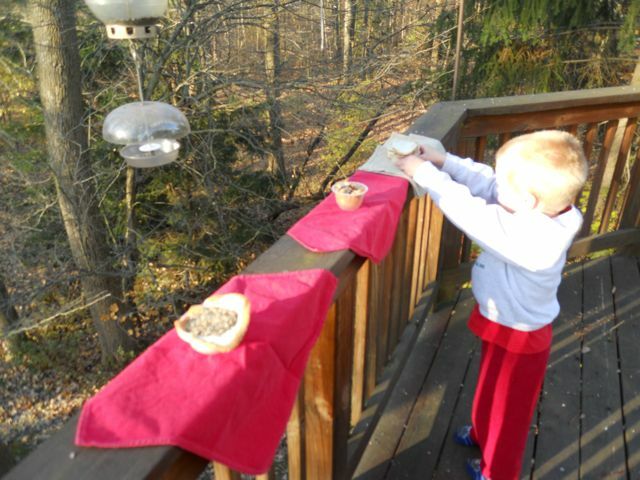 Then, my children chose the treats they thought would make the best pie for the birds. 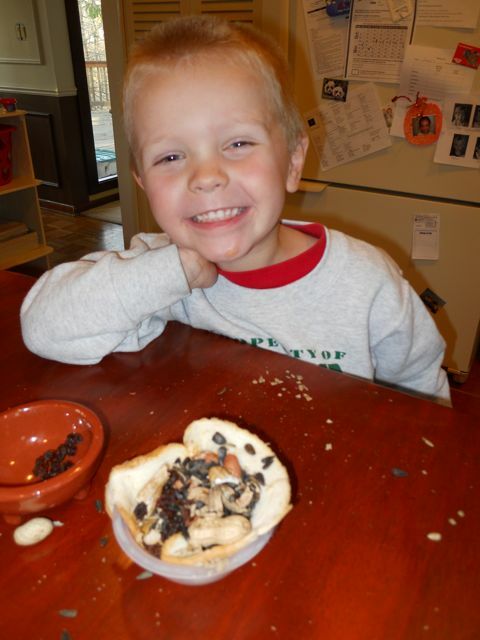 My son's pie included sunflower seeds, peanuts (some in the shell and others he cracked open), and raisins. 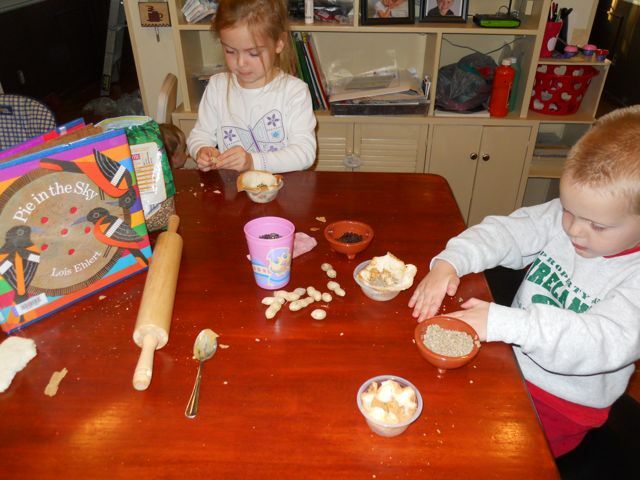 My daughter's included a variety of seeds including nyjer and millet. 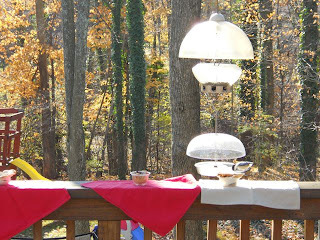 We laid out napkins and our pies on our deck railing. We wondered... would the birds like our pie? 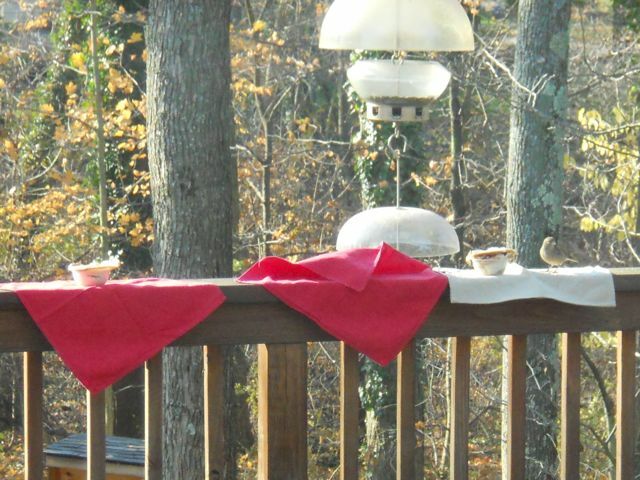 It didn't take long for the birds to stop by to enjoy the pie! Here is black-capped chickadee. We like watching the chickadees grab one good seed then retreat to a tree to eat. They have such good manners -- respecting that other birds would like a chance to get a treat too. Throughout the day we had sparrows, tufted titmice, and chickadees eat our pies. I never want squirrels around my bird feeders. However, today I was hoping that they would stop by so I could read Nuts to You. A squirrel never showed up so we read the book ourselves before bedtime. Great post, Eric, and great idea with the pies. So nice for the kids to see how their fun activity was received by the birds. Bet it made their day. 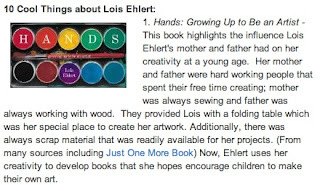 I love Lois Ehlert books, too. So many I still need to read, though, including this one!